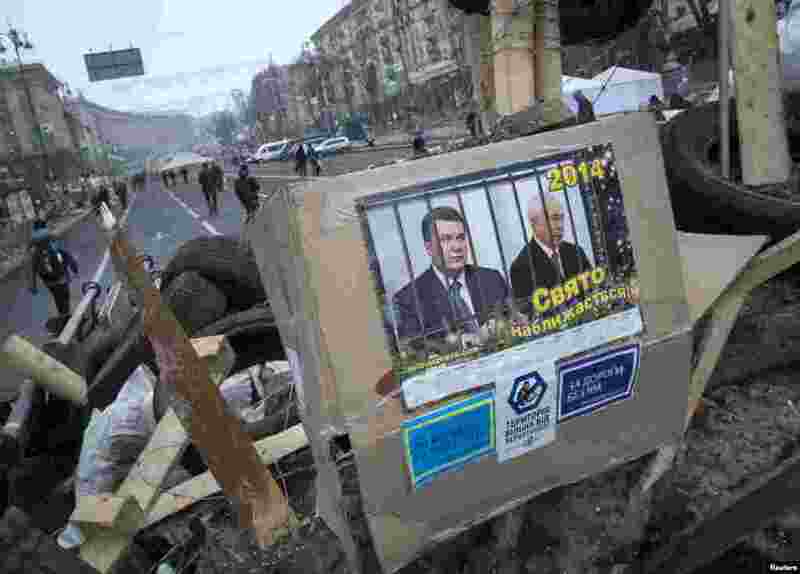 1 Portraits of Ukrainian President Viktor Yanukovych and Prime Minister Mykola Azarov are seen at a barricade during a rally in central Kyiv, Ukraine, Dec. 20, 2013. 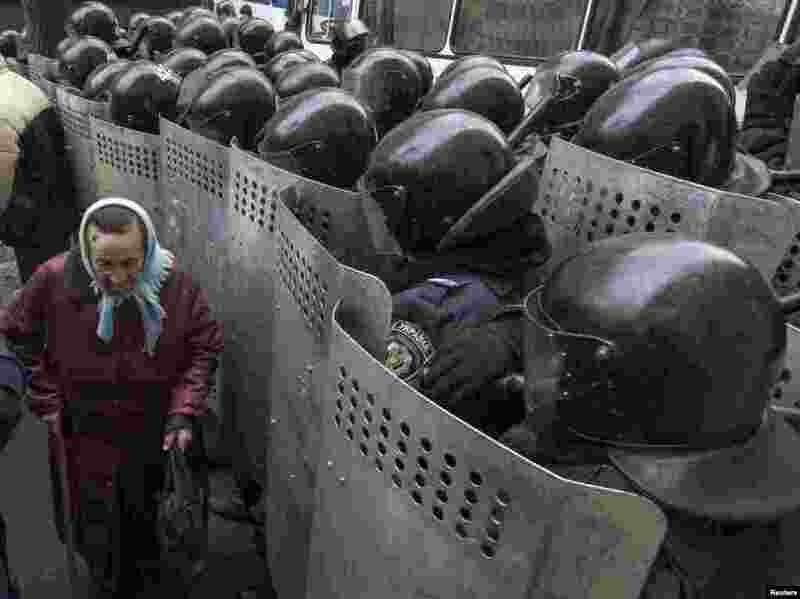 2 A woman passes by Interior Ministry personnel as they block pro-EU demonstrators near the Ukrainian Ministry of Internal Affairs in Kyiv, Ukraine, Dec. 20, 2013. 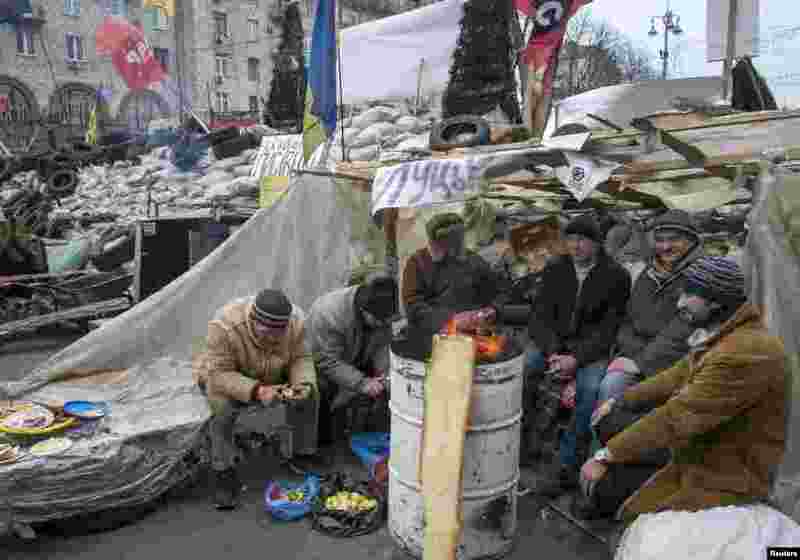 3 Ukrainian pro-EU demonstrators warm themselves by a fire during a rally in Independence Square, Kyiv, Ukraine, Dec. 20, 2013. 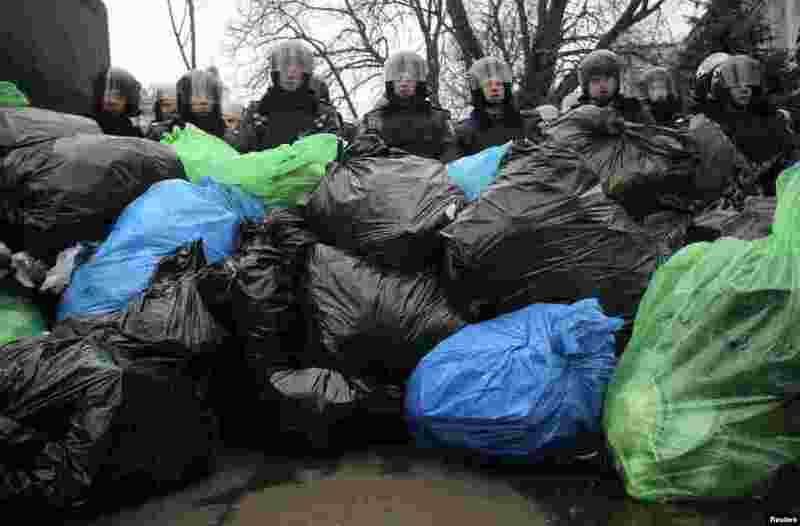 4 A pile of garbage bags left by pro-European integration protesters lies in front of riot police officers in Kyiv, Ukraine, Dec. 20, 2013.